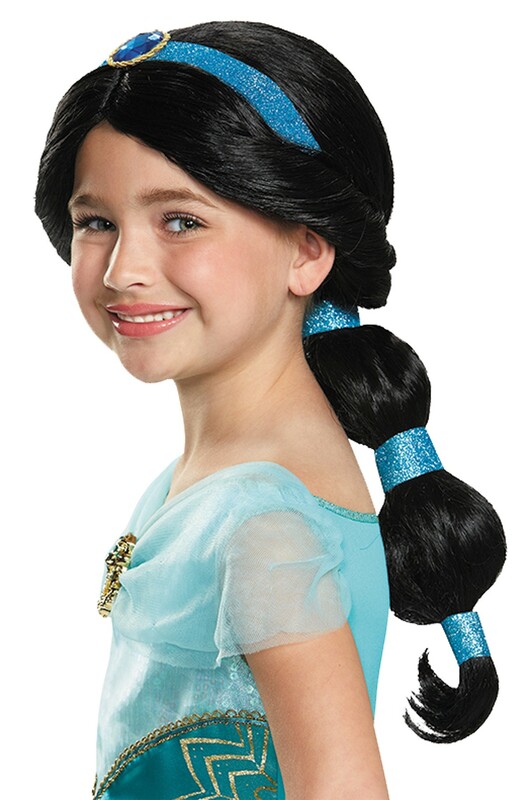 This is surely the best wig to complete your child's costume of Jasmine, one of Disney's most popular princesses and featured in Aladdin. Jasmine is a dreamer who loves her pet tiger, Rajah. She's free-spirited, confident, and kind. The wig is a long-haired black wig with blue headband with sectioned ponytail with blue bands.